I have been experimenting with the 2 tone and "Deep" mode on my Racer 2 with coaching from Rich(Utah). 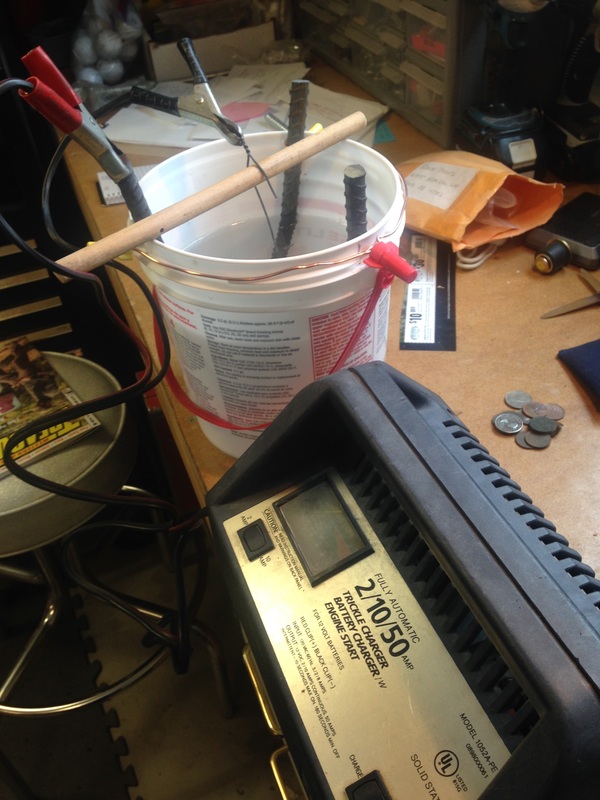 A week ago I got a jumpy signal in "Deep" at a logging camp near a cellar hole. 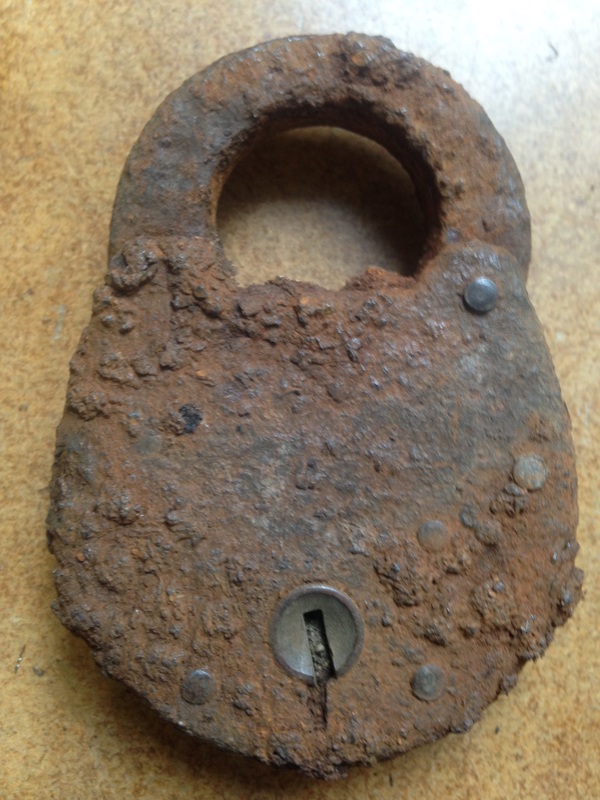 At about 9" I dug a rusty padlock that was interesting but had no visible identification..
After about three days and a few hand scrubbings this is the result. 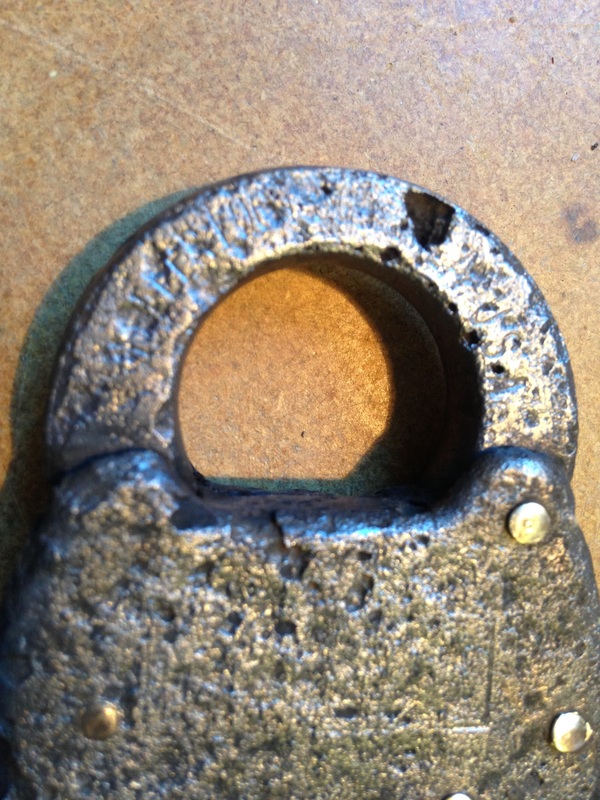 As you can see it is very pitted, but we were able to read "Miller Lock" on the shackle and see a square outline on the front. An Internet search revealed Miller Lock from Philadelphia operated from 1870 to 1930 when Yale Lock bought the company. 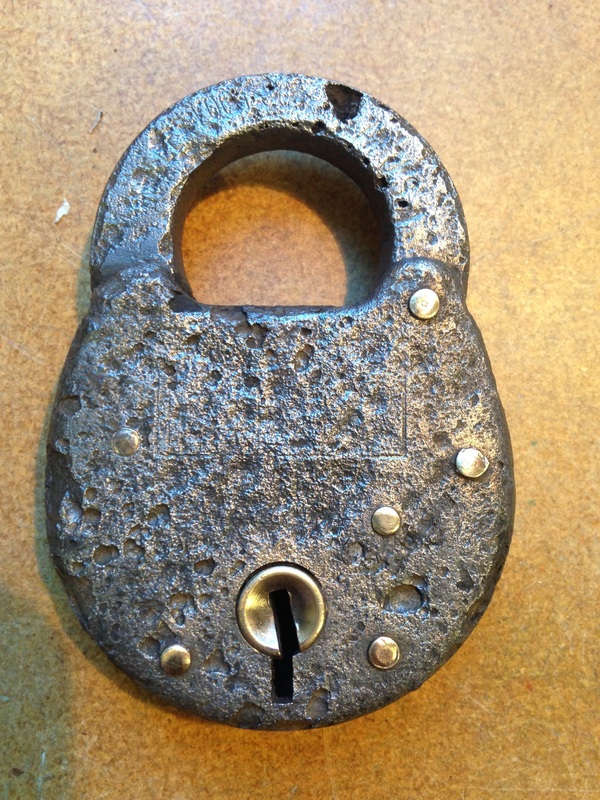 I was not able to find a picture of the exact lock I have but I did find one the same shape that is marked Yale so with that information and previous finds at this location make me believe it is from very late in the Miller Lock history. It was a fun experiment and nice to be able to identify the lump of rust. And a good Thanksgiving memory with my grandson to boot!